I get TONS of pm's about this so I figured as I was setting up an incubator this morning, I would take a few pictures. I have about a 95% hatch rate using this method. Typically i get about 180 baby snails from EACH clutch. They take on average 8 days to hatch. First, I gather supplies. I use a small tupperware with lid and 3 paper towels (as well as the clutch). Slightly moisten one (squeeze ALL the water out) and place it in the bottom of the container. The place the two DRY quartered paper towels on top of that. Check the container daily, removing any condensation in the lid. If you find that the uppermost paper towel is damp, replace it wiht a dry one. At about 6 days, the clutch will get a moldy/blue-gray appearance. At 8-9 days, you will see hatching babies, which need to be transferred to a growout tank. I keep p. diffusa in ALL my breeding tanks. THey eat uneaten food, fungused eggs, and also create infusoria within their slime trail which is an exceptional first food for all fry be it fish or invertebrate. They do need a calcium rich diet and hard water to maintain good shell health. They do not eat plants (other than duckweed) and are just a colorful addition to most tanks. 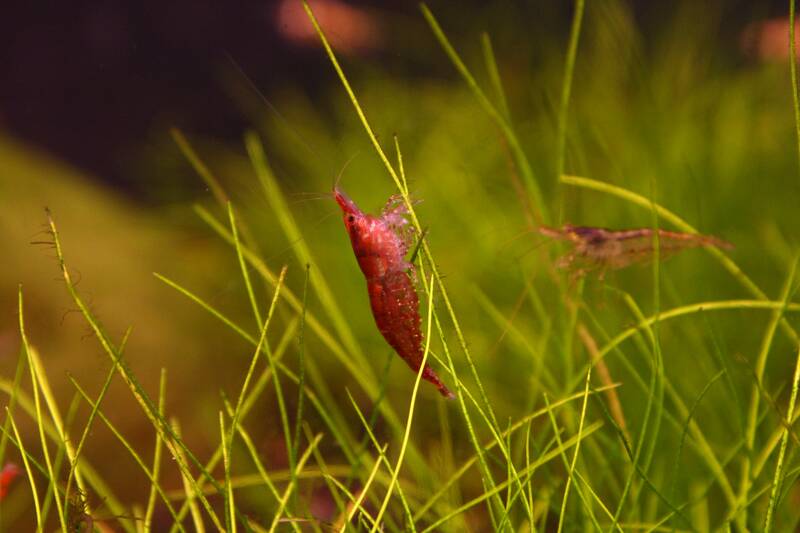 You must be cautious if keeping them in a tank with tons of shrimp as the shrimp can pester them to the point that they stop eating. Masters (i) suggests that infusoria for starter cultures can be collected from any stagnant pond where decaying vegetable matter is present, from the debris on established aquarium filters, from water in which cut flowers have been standing, or from the partly digested plant tissue in the droppings of infusorial snails (Ampullaria). Often their droppings get trapped in their slime. Its basically partially digested vegetable matter which produces the infusoria. Similar to starting an infusoria culture wiht crushed leaves, hay, etc in a jar of water. when i was breeding them kind of how i did mine. only difference is i use sponge. i put water in the container and use like a ac sponge. this way they just hatch in the container and fall into the sponge. from there i just move it into the tank/net. i leave it under the lights sealed up. never counted mine but always had way too many. Wow! Thanks for all the great info! That's cool about the slime trail... this needs to be stickied! Those are great photos! I have a clutch in an incubator right now... hoping for the best. MGamer said he uses an ac sponge? What does ac stand for? I wish mine would breed! Thanks msjinkzd.. My snails mate like crazy, but haven't seen any eggs yet. I only have about an inch and a half open at the top so I'm not sure if its a water level issue (the extension tube for my penn plax cascade 500 stinks). I guess I could have 2 males too lol. I could never tell the difference of who has a more round shell opening. I have had 6 clutches in the last 10 days. Can anybody explain to me why the clutches keep falling of the glass and into the water? I removed the only clutch still standing. Thati s part of the reason I always remove them after 12-24 hours. It might be that your glass is really humid preventing them from sticking really well.